Clutches are present in all kinds of automobiles. They serve that specific purpose which we know in our head but can’t seem to specify it in detail. Well, this article has got you covered. A clutch is basically involved in the engagement and the disengagement of the power transmission within a vehicle. This power transmission occurs between the driving shaft and the driven shaft. Technically, a clutch performs the function of connecting and disconnecting two rotating shafts. One of these shafts will be connected to the engine or the power unit source. While the other shaft will be providing the total output power required to perform the task at hand. The motion involved in the clutches is mainly rotatory but it can also be linear in nature in a few cases. The connected shafts usually spin at the same speed but they may also rotate at slightly different speed and this phenomenon is known as ‘slipping’. The flywheel portion of the clutch is directly connected to the crankshaft of the engine. This way it spins in correspondence with the motion of the engine. It acts as the mounting surface for the entire clutch. Bolts keep the pressure plates attached to the face of the flywheel. The spring action of these pressure plates helps in keeping the clutch disc clamped and held against the surface of the flywheel. Precision machined smooth surface for the face of the flywheel is important at all times. The face portion of the flywheel that touches the clutch disc is made of iron. This portion is always made of iron even if the rest of the flywheel is cast in aluminum. This is because iron is more durable and heat dissipation is more even with it. Set completely in cast iron, these pressure plates have a significant flywheel effect just like every other rotating part of the clutch. These plates are made to be stiff so that even pressure distribution, optimum heat capacity, and radiation surface can be provided. A number of tempered spring-steel straps are used to drive these pressure plates with the help of the flywheel motion. These straps are tangentially extended and space equally throughout. One end of each of these straps is riveted to the clutch cover while the other end is bolted to the pressure plate. There are two main types of pressure plate assemblies. These are the coil spring assembly and the diaphragm spring assembly. The latter is widely used today in almost all the modern cars because of it more flexible and durable in all kinds of structures. The clutch disc or the driven plate has comprised a splined hub and along with a round metal plate. They are covered with the friction material known as the lining. The clutch disc is also known by the name of friction lining. The central splines of the clutch disc mesh with the splines present on the input shaft arising from the manual transmission. Consequently, this will make the clutch disc and the input shaft turn together in sync. Back and forth movement of the clutch disc on the input shaft can still happen without any hassle. Cushioning springs also known as the clutch facing springs are situated under the friction lining of the spring and are flat in shape. The slight wave or curve of these springs enables the inward flex of the clutch disc during the initial engagement which works out smoothly. Two main types of clutch operating system have been used in the automobiles until now. The mechanical cable operated the system is bound to be found more in the older models. Whereas the hydraulic clutch activation system is a hit among the latest car models. The latter consists of two main cylinders – one master and the other slave cylinder. The application of pressure first happens on the clutch pedal when it is depressed. This leads to the pushrod making contact with the plunger and continue to do so till it rises up the bore of the master cylinder. The hydraulic clutch activation system has a number of advantages over its traditional counterpart. It requires less effort on the part of the driver to be used as compared to with a mechanical clutch. It has the ability to self-adjust itself to a certain point. Self-lubrication features also help a great deal with the heavy duty usage. It is the clutch release mechanism that enables the driver to use the clutch in the required manner. It mainly consists of the clutch pedal assembly which can be of various kinds. A mechanical linkage, hydraulic, drive by wire or cable are the various types of clutch release mechanism that currently exist. The cable or a shaft- and-lever linkage arrangement is used in vehicles that have mechanically operated linkages. The older vehicles are the ones that have clutch release mechanisms comprising of linkages, levers and pivot points. Clutch release mechanism operated by wire is quite simple in structure and operation. This kind of systems, however, require regular lubrication. Also, they can be designed to fit only a limited number of configurations thus making it less flexible as compared to other options. 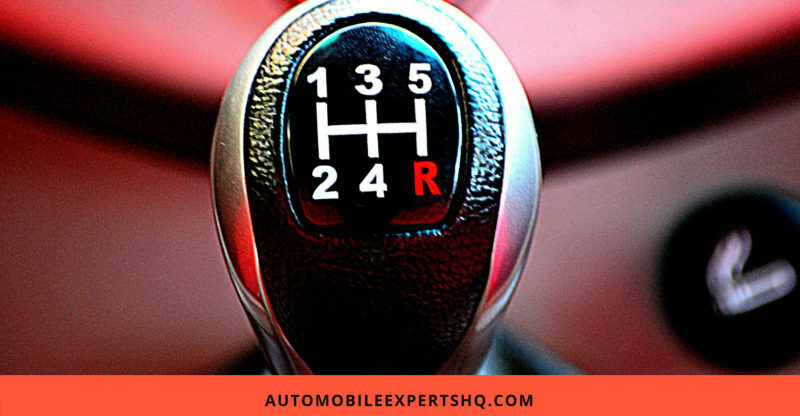 It is primarily found and used in the cars the manual transmission technique for driving purposes. It gives the driver at that moment the capability to either couple or uncouples the engine from the transmission. It helps to control the power levels of the entire vehicle even at slow speed. A basic clutch mainly comprises two plates which have been forced and thus joined together with the help of powerful springs. 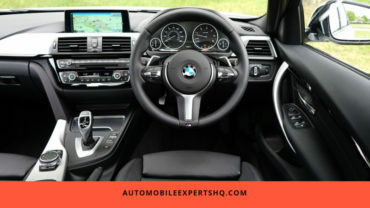 This helps in connection with the engine with the transmission system of the vehicle. The driver breaks the connection between the engine and the transmission when it forces the pedal down. The connection between the engine and the transmission is reformed when the pedal is allowed to come up. Usually, the clutch is located just behind the engine somewhere between the engine and the transmission. The clutches are composed of two main rotating shafts. One of these shafts is driven by a pulley or a motor while the motion of the other shaft is controlled by another component. The clutch manages the function of locking or unlocking these shafts. They can either be locked together and thus spin at the same speed or they can be disconnected and spin at their individual pace. Clutch is required in a car because we do need to manage the spinning motion of engine, wheels and other components at various speeds. We need the wheels to be decoupled from the spinning motion of the engine if we want to stop the car without killing the engine. This can only be achieved if we have a clutch that can disconnect the wheels from the engine at the right time. It is the clutch that makes it possible to smoothly engage the spinning engine with a non-spinning transmission. This task is performed by the clutch by basically controlling the slippage between them. 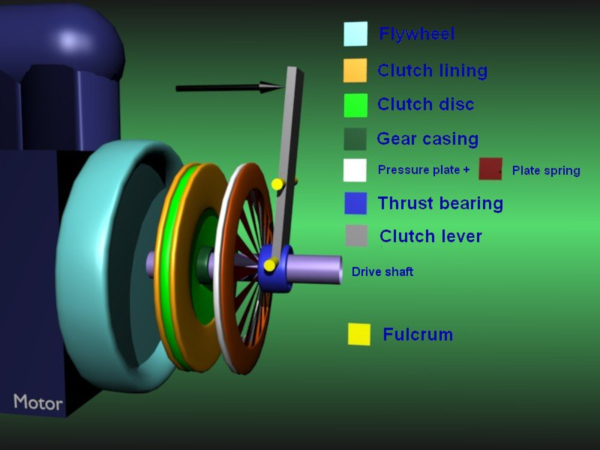 It is better to understand the principle of friction for understanding the basic working principle of the clutch. Friction is the actual measure of how much effort it takes to slide one object over the other. The peaks and valleys are present from the coarsest to the smoothest surfaces. They are everywhere, varying in their sizes. They are the main causal agents of the friction being cased between two surfaces in contact. The bigger are these peaks and valleys in size, the harder it will be for us to slide the objects over each other. In the working of the clutch, the friction takes place between the clutch plate and the flywheel. The flywheel is connected directly to the engine. And the clutch plate is connected securely to the transmission. Te spring performs the function of pushing the pressure plate against the disc when the clutch pedal is released. This will, in turn, push the pressure plate close the flywheel. This sequence of events will lock the engine with the transmission input shaft. This will allow the both of these components to spin together at the same speed. The friction between the clutch plate and flywheel decides the total amount of force that the clutch can hold. The amount of force exerted by the spring on the pressure plate also impacts the capability of the clutch to hold a certain amount of force. The pressing of the clutch pedal causes the hydraulic piston or the cable to be pushed onto the release fork. This pushes in the middle of the diaphragm spring. A series of pins around the spring causes the diaphragm spring to pull the pressure plate away from the clutch disc. Ultimately, the clutch is released from the spinning motion of the rotating engine. A considerable amount of springs are attached to the surface of the clutch plate. They perform the function if isolating the shock of the clutch engaging process forms the transmission. This causes the power transmission to the pressure plate for a while thus offering the chance to change gears. Withdrawal of the thrust bearing takes place when the clutch pedal is released. This makes the diaphragm spring to push the driven plate against the flywheel. The power transmission is thus resumed and both the engine and the wheels start spinning together. Hydraulic operate clutch is also present in some of the cars. When pressure is applied to the pedal inside the car, piston activation takes place within the master cylinder. This will basically transfer the pressure from a fluid-filled pipe onto the slave cylinder. This slave cylinder is mounted on the clutch housing. During the clutch operation, the power of the engine is transmitted to the gearbox. When the transmission is interrupted, the gear is selected or changed if the vehicle is not in a stationary position. Most of the cars today employ the friction clutch that is operated by fluid or cable. 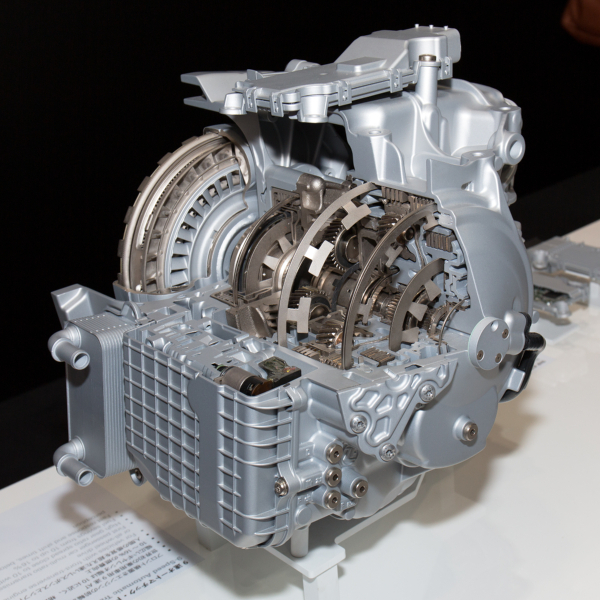 The automatic transmission contains a number of clutches. These clutches are responsible for the engagement and disengagement of several sets of planetary gears. Pressurized hydraulic fluid is used to put these clutches into motion. A drop experienced in the pressure makes the springs to release the clutch in a smooth manner. Splines line the inside and outside of this clutch thoroughly. These splines are evenly spaced ridges. They make it possible for the clutch to lock into the clutch housing and the gears. The weed-eaters along with this kind of chainsaws are known to have centrifugal clutches. The spinning chains or the strings can easily be stopped without having the need to stop the engine first. The clutches employed in this equipment basically work with the help of the centrifugal force. These automatic clutches have the input connected to the engine crankshaft. A shaft, belt or even a chain can be driven by the power of the output. Clutch engagement happens in this case when an increase is observed in the rotations per minute. It causes the weighted arm to swing out and get synchronized with the right cogs. Lawn mowers, mopeds, go-karts, mini-bikes and some yo-yos make good use of the centrifugal clutches. They have a variety of applications in a number of domains across the world. Some of the advanced cars of today use the technique of viscous coupling or the limited slip differential. Both these techniques have the clutches playing a key role in their operation. 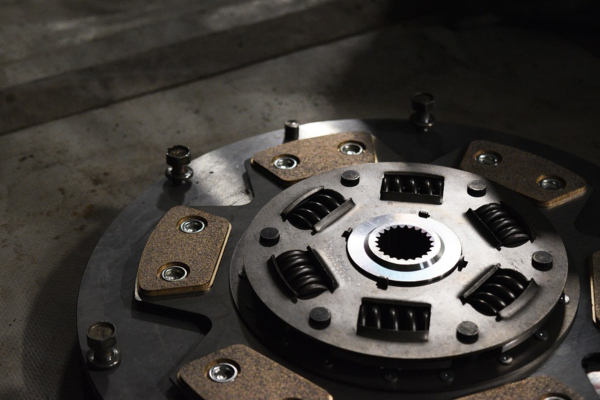 Traction increment is the prime advantage that is achieved with the help of connected clutches. Usually, when we turn our cars, one of the wheels spins way too much than the other one. The limited slip differential method fixes this trouble with the help of many powerful clutches. Otherwise, it becomes too problematic to handle the car in tough weather conditions. The clutch basically slows down the wheel spinning faster than the other three. And brings it down the speed of that specific wheel till it matches the speed of the remaining three wheels. Water puddles and snow can also make the wheels spin out of control when this clutch control can be really helpful. An electromagnetic clutch is present in the air conditioning compressor of the car. The engine can still be running but this clutch will easily shut off the compressor. The clutch engagement takes place when the current flows through the magnetic coil in the clutch. 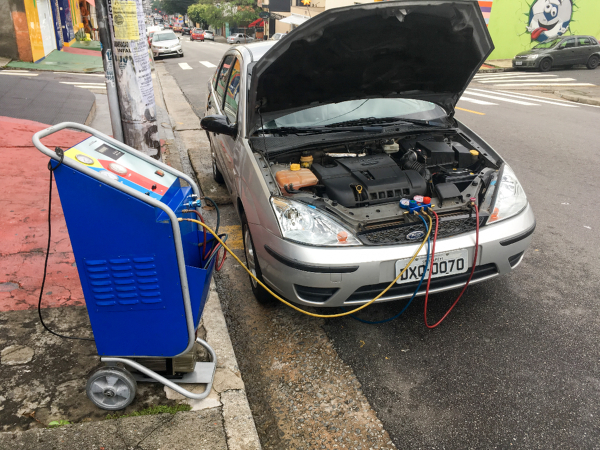 When we turn off the engine, the current stops flowing. This will happen when we turn off the car air conditioner. In this case, the clutch will disengage and thus the circuit will be broken. Few of the cars are known to have the engine driven cooling fan. In this case, the thermostatically controlled viscous clutch is incorporated. Here, the functioning of the clutch happens according to the temperature of the fluid. 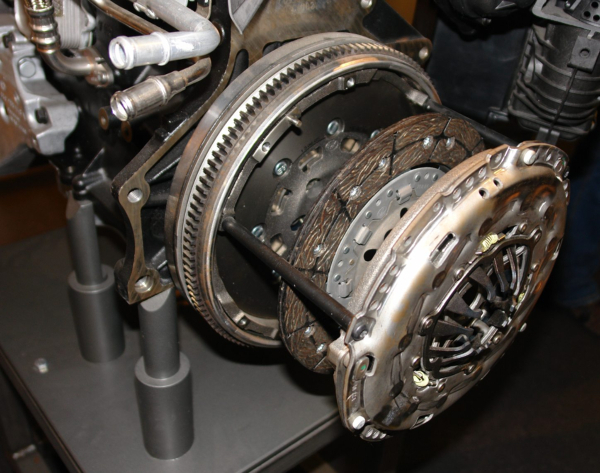 Automobile Clutch is one is one of the most common components in the vehicles today. They have evolved a lot over time. And today we find them in a variety of forms which come in handy in different kinds of equipment. Their operation mode also varies according to the purpose that they are involved in. This brings us to the end of this mega guide. We hope that you gained as much information from this article as we hoped for. If you liked this article then do forward it to your family and friends. Let them know that you always have nuggets of information to share!